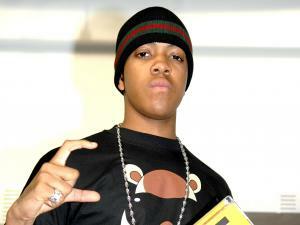 Top selling UK artist Chipmunk has teamed up with the people at Def Jam Rapstar to look for the UK’s best lyricist. The UK Rhyme Master contest is aimed at young aspiring MC’s at school, to urge them to understand the importance of learning and utilizing the English language. Many schools are already on board and some young people could find the competition being used as part of their lessons. Students are asked to write or rap about something that is important to them or on subjects covered in class. The competition is open to young people aged between 12-17 years old and entrants can get involved by uploading their lyrics, audio or video files to the competition’s website – http://www.defjamrapstarschools.com. There will be downloadable backing tracks from top hip-hop producers including Jay-Z’s producer Just Blaze and DJ Premier who has worked with a range of artists including Christina Aguilera, Nas and Notorious B.I.G. To celebrate the release of Def Jam Rapstar in the UK I had the opportunity to ask Chipmunk some questions regarding both the contest and Def Jam Rapstar itself. Unfortunately, due to me having to go to the hospital I was unable to catch Chipmunk at the right time, but managed to get someone from the amazing LunchPR team to ask Chipmunk my questions for me on audio. Listen to the interview below, and share your thoughts. Once again I would like to give much thanks to Chipmunk and the Lunch PR team, as well as 4MM games for all the support. This interview was written by Gary A Swaby, and recorded by the Lunch Pr team.